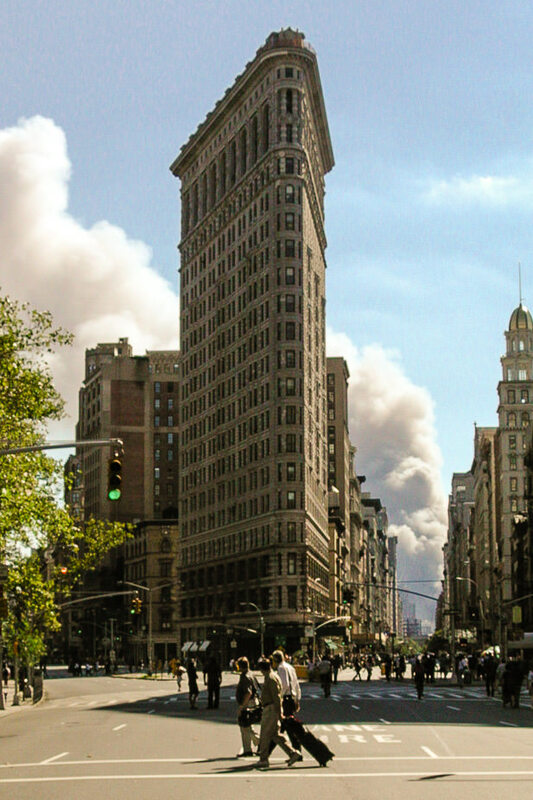 This photograph was taken from 25th Street and Fifth Avenue in Manhattan on September 11, 2001 at about 3:00 p.m. (that’s the famous Flatiron Building in the center). You ask, “Josh, where are your other photos of the World Trade Center?” Sadly, I have to say that I have very few. As a native New Yorker, the World Trade Center was always on my list of things to photograph, but I always put it off because “it will always be there”. However, I do have one other photograph of it from its better days. You also ask, “Josh, is this the only photo you have of that day?” Yes, it is. I had brought my CoolPix 990 to work that day to photograph something else. On my walk home, I turned to take this photo. I couldn’t take any others, my heart just wasn’t in it.